The graduating class of 2014 was by most accounts, the most indebted in history, with the average borrower owing $33,000. With this in mind, students are seeking more and more financial aid through scholarships. But where to go first? There are far too many available scholarships to ever compile a definitive list of "the" Top 50 College Scholarships, a list that would likely be almost entirely made up of graduate fellowships. Instead, the list that follows focuses on merit or competition-based scholarships that are available to almost anyone. A project of Bill Gates (the second richest man in the world) and his wife Melina, The Gates Millennium Scholars program is one of the most prestigious scholarship programs in the country. Annually, it awards 1,000 full ride scholarships for use at any university or college of a student's choice. Since its inception in 1999, the program has paid out over $1.5 billion to help students cover the cost of college. Requirements for the program include a minimum high school GPA of 3.3, meeting the federal Pell Grant eligibility criteria, and being a citizen of the United States. And though it is open to everyone, special consideration is given to students from minority groups, such as African American, American Indian/Alaska Native, Asian Pacific Islander American, or Hispanic American. The Intel Science Talent Search (Intel STS), is the nation's oldest and most prestigious pre-college science competition. Each year, over 1,700 high school students enter the competition; 300 are chosen to go on to the semifinals. The competitors are later narrowed down to a group of 40 finalists who will participate in a week-long event in Washington, D.C. to compete for more than $630,000 in awards. "Every student deserves a chance to realize their potential." Is Dr. Pepper's reasoning behind giving away over $1,000,000 in tuition to help students pay for college. Students between the ages of 18-24 simply have to go to the Dr. Pepper Tuition Giveaway website and submit their "one of a kind goal" to enter for a chance to win up to $100,000. Smaller awards include $5,000 for reaching the top 5 of the $5,000 leaderboard when voting ends. The Siemens Foundation established the Siemens Competition in Math, Science & Technology in 1999. The Competition seeks to promote the understanding of the value of scientific study and offers the opportunity for high school students to gain both experience and national recognition for exceptional work in science research. From more than 1,600 initial entries, the field is eventually narrowed down to the National Finalists (6 individual and 6 team projects) who compete in a week-long event in Washington DC. The grand prize for both the winning individual and winning team is $100,000. The Buick Achievers Scholarship Program was founded to recognize and reward students who have succeeded both inside and outside of the classroom, especially those who may not have the opportunity to attend college without financial assistance. In 2014 the program awarded 100 renewable scholarships of up to $25,000 per year. Since the program's founding in 2011, it has provided more than $28 million to 3,400 students choosing to study in science, technology, engineering, math, design and select business fields. Created by Peter Thiel through his Thiel Foundation, the Thiel Fellowship was originally created to encourage breakthrough innovation. The fellowship offers students under the age of 20 a no strings attached award of $100,000 over the course of two years. Award winners forgo college in lieu of pursuing their own goals, be it starting their own business, inventing, or even scientific research. Selection for the fellowship is highly competitive, and only 20-25 fellows are chosen each year. Not exactly the typical college scholarship. Established with the goal of discouraging a brain drain of talent to Arizona's top universities, The Flinn Scholarship provides financial support to 20 of Arizona's highest achieving high school students. Valued at over $100,000, the Flinn Scholarship offers free tuition and room and board to any Arizona university, funding for study abroad programs, and mentorship from senior faculty members help guide them through the college experience. Amount: Full tuition and room and board. The Chick Evans Caddie Scholarship is a renewable, full tuition and housing scholarship for golf caddies. Since the program's creation, over 9,800 caddies have become Evans Scholars and attained college educations. Today, the Evans Scholarship Foundation is largest scholarship organization in sports and the largest privately funded scholarship program in the United States. Applicants must have: A strong Caddie record, excellent academics, have demonstrated financial need, and outstanding character. Each year, the Paul and Daisy Soros Fellowships for New Americans honors and supports the graduate educations of 30 new Americans – permanent residents or naturalized citizens if born abroad; otherwise, children of naturalized citizen parents. Each fellowship provides for up to two years of graduate study in any field in the United States. Fellows are provided with up to $25,000 in maintenance grants and up to $20,000 in tuition support for each year of graduate study supported, up to $90,000. Amount: Four $50,000 scholarships, seven $25,000 scholarships, and five $10,000 scholarships. Awarded by the Davidson Institute for Talent Development, The Davidson Fellows Scholarship is awarded to gifted and talented students under the age of 18, who have completed a significant piece of work in the fields of mathematics, science, technology, music, literature, philosophy or outside the box that has the potential to in some way benefit society. Every year in Washington, D.C., Davidson Fellows are honored with a special reception and Congressional meetings. Since its inception nearly $5.3 million has been awarded through the Davidson Fellows Scholarship. Created in memory of Burger King co-founder James W. McLamore, the Burger King Scholars program awards scholarships ranging from $1,000 to $50,000 to Burger King employees and their children to help offset the cost of attending college or post –secondary vocational/technical school. To date, the program has awarded more than $20 million in scholarships. Applicants are judged on GPA, work experience, extracurricular activity, and community service. Deadline: Varies by state. Applicants must first compete in their home state before a final, national competition. The Youth of the Year program was created to cultivate member's character, personal growth, and leadership qualities. Each year it recognizes exceptional youths that have overcome incredible odds and have shown exceptional character in service to their club and community. Nominees for the competition are honored at a reception in February and go on to attend the annual state Youth of the Year competition. State winners will then compete at a national level for the chance to win a $50,000 scholarship. Deadline: Varies by state. The ultimate national winner must first compete and win at a state level. Check with your state. The Miss America Pageant is a competition for American women between the ages of 17 to 24. Contestants are judged on a variety of categories, including: artistic expression, presentation and community achievement, presence and poise, and lifestyle and fitness. The Miss America Organization is the world's largest provider of scholarship assistance for young women. In 2014, the organization provided over $45 million in cash and scholarship assistance to over 12,000 women. Some scholarship competitions require more than simple academic excellence. George Washington University's Innovation Task Force Competition challenges students to come up with innovative new ideas that will cut net costs or generate net revenues of $1,000,000 or more annually for the university. Proposed business plans go through multiple rounds of review, including presentations before a panel of judges, before the winners are decided. Winners receive a scholarship of up to $50,000 and have the chance to have their idea implemented at George Washington University. The OPEC Fund for International Development (OFID) awards outstanding students from developing countries seeking to pursue their master's degrees in fields of Development or Energy Studies. Relevant fields of study include: economics of development (poverty reduction, energy and sustainable development), environment (desertification), or other related science and technology fields. The winner of the OFID Scholarship Award receives a scholarship of up to $50,000. The Google Global Science fair is a science competition open to students between the ages of 13 and 18, who must formulate a hypothesis, perform an experiment, and present their results. While the competition is open to all countries besides Cuba, Iran, Sudan, Myanmar/Burma, Syria, North Korea, and Zimbabwe, all projects must be presented in English, German, Italian, Spanish, or French. Finalists all receive a scholarship of $25,000, while the grand prize winner receives a $50,000 and a trip to the Galapagos Islands courtesy of National Geographic. The National Geographic Bee is an annual geography contest for public schools, private schools, and home schools in the United States with students in grades four through eight. Competition for the Bee begins at the local level, and 100 school winners from each state proceed to the state finals. The winners from each state go on to the two-day National Geographic Bee in Washington D.C. The winner receives a $50,000 college scholarship, a trip to the Galapagos Islands, and a lifetime subscription to National Geographic. Second place receives a $25,000 scholarship, and third place receives a $10,000 scholarship. Big Data Management Informatics Scholarship is open to all prospective first time Duke University School of Nursing MSN Informatics students that meet eligibility requirements. Two scholarships will be awarded, one in the Spring 2015 semester, and one in the Fall 2015 semester. Each scholarship could cover up to $40,000 of the student's tuition towards completing their MSN Informatics program of study. Funded by the Jewish Federations of North America Mandel Center for Leadership Excellence, the FEREP Scholarship recruits and supports Jewish students who plan to pursue a career as professional leaders for the North American Jewish Federation system. The FEREP Scholarship awards up to $40,000 for specific areas of graduate study (non-clinical social work, public administration, or business administration) in exchange for a minimum two-year paid work commitment in a North American Jewish Federation following graduate school. Amount: up to $40,000 over four years. Iowa's Matthew Shepard Scholarship Program seeks to recognize motivated openly Lesbian, Gay, Bisexual, Transgender or Queer students who have shown academic excellence and dedicated service to the LGBTQ Community. The scholarship pays tuition, books, and fees at one of Iowa's three state universities: Iowa State University, University of Iowa, and the University of Northern Iowa. Scholarships are renewable each semester for up to four years, and are awarded based on academic aptitude, academic achievement, community service and financial need. The Thomas R. Pickering Foreign Affairs Fellowship is funded by the U.S. Department of State and administered by the Woodrow Wilson National Fellowship Foundation. The Programs are designed to provide mentoring, professional development, and financial support to outstanding candidates to enter the U.S. Department of State Foreign Service. The undergraduate and graduate fellowships awards cover up to $40,000 annually for tuition, room, board, and mandatory fees. Fellows also participate in two paid summer internships, and receive mentorship by a foreign-service officer during their graduate study. Deadline: June 26 was the deadline for the 2014-2015 academic year. Check back with the website for information about the 2015-2016 school year. Established by the Thomas and Stacey Siebel Foundation in 2000, each year the Siebel Scholars Foundation selects 85 graduate students at the top of their class and in their final year of studies to receive $35,000 scholarships toward completing their education. Students are chosen from among 17 of the world's leading graduate programs in business, computer science, and bioengineering. Based on continued academic excellence and leadership. The Google U.S./Canada Ph.D. Student Fellowship Program was created to honor exceptional graduate students doing outstanding and innovative work in computer science, related disciplines, or promising research areas. The two-year fellowships consist of tuition and fees, a Google research mentor, and a $33,000 yearly stipend (paid over 9 months of the academic year). Among the requirements to qualify for the fellowship, students must be pursuing a Ph.D. in the research areas represented by the fellowships, and be nominated by their department. Each year, the Harry S. Truman Scholarship Foundation reviews over 600 applications for the 55 to 65 scholarships that they award annually. Competition for these scholarships is fierce, and potential applicants should look closely at themselves to see if they meet the requirements before they apply. Applicants should have a history of community service, and be interested in becoming a force for positive change by working in government, education, the nonprofit sector, or the public interest/advocacy sector in order to improve the way these institutions serve the public. Since 1994, the National Security Education Program (NSEP) has awarded over 1,600 Boren Fellowships to degree-seeking masters and doctoral students. Boren Fellowships provide up to $30,000 for U.S. graduate students to add a language component to their graduate studies. Boren Fellowships promote study in areas of the world that are vital to U.S. interests, including Africa, Asia, Central & Eastern Europe, Eurasia, Latin America, and the Middle East. Amount: $30,000 scholarship, and a $50,000 Google for Education technology grant for his or her school. An annual art competition open to students K-12, the Google Doodle Scholarship Contest seeks to inspire innovation through creativity. The 2014 Contest challenged students to create a âGoogle Doodle' based on the topic "If I Could Invent One Thing to Make the World a Better Placeâ¦" The grand prize of a $30,000 college scholarship and a $50,000 Google for Education technology grant for her school, went to 11 year old Audrey Zhang, Island Trees Memorial Middle School, NY. The Jack Kent Cooke Foundation Undergraduate Transfer Scholarship is targeted towards the nation's best and brightest community college students. The Scholarship is the largest private scholarship for two-year and community college transfer students in the country, and provides the opportunity for community college students to transfer to a four-year college or university to complete their bachelor's degree. 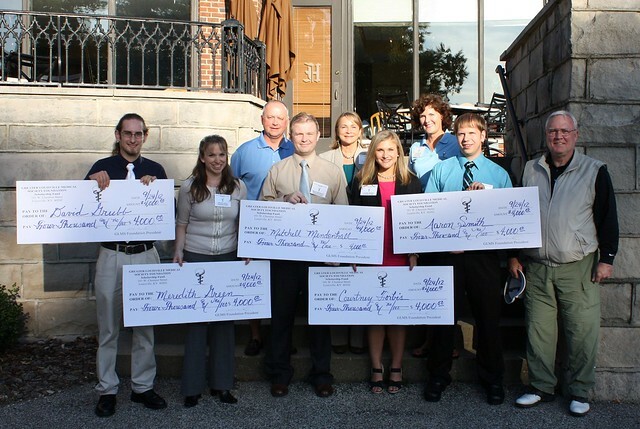 Each year, the scholarship provides 75 deserving students to $30,000 per year. Applicants are chosen based on criteria including: Achievement and academic ability, financial need, persistence, leadership, and a desire to help others. Established in 1947 with the goal of providing students the opportunity to express their opinions and beliefs on democratic ideas and principles, The VFW's Voice of Democracy program (VOD) is open to all students in grades 9-12. Applicants are required to write and record an original speech on the provided topic (2014/2015's being "Why Veterans are Important to our Nation's History and Future") and then record and submit their reading of the speech. The national first-place winner is awarded a $30,000 scholarship to the American university, college or vocational/technical school of their choice. In 2012 there were 33,561 motor vehicle related deaths in the United States. The Teens Drive Smart Video Contest asks students between the ages of 16 and 21 to submit a short video (25 to 55 seconds) that relates to safe driving. In addition to winning scholarships, the winners' videos could air as public service announcements across the U.S, and the top 10 filmmakers receive a new set of Bridgestone or Firestone tires. Established by the Knights of Columbus (The world's largest Catholic fraternal service organization) in 1944, the Francis P. Matthews and John E. Swift Educational Trust Scholarships were meant to serve as a living memorial to the knights who died or became permanently disabled while serving their country in World War II. The scholarships are available to children of Knights of Columbus members who were killed in action or wounded in action that resulted in permanent disability. To qualify for the scholarship, applicants must apply to a Catholic college or university. Since 1985, Ronald McDonald House Charities has awarded more than $52 million in scholarships. The RMHC Scholarship Program was established to provide scholarships to students in financial need who have demonstrated academic achievement. Among the requirements for these scholarships, applicants must be younger than 21 years old, have at least one parent of Hispanic/Latino heritage, and carry a minimum 2.7 GPA. For those who love blogging, this scholarship is right up your alley. JW Surety Bonds is asking applicants to create content for their corporate blog. Content must be based on one of the acceptable topics included on their website, and should be interesting, professional, and creative. If your content is accepted and posted on their blog you are entered into a contest to win a $1,000 scholarship. â¢ Master of Arts in Teaching (MAT) concentrating on either American Constitutional history (in a history department) or American government, political institutions, or political theory (in a political science department). A project of the Michael and Susan Dell Foundation, the Dell Scholars Program has to date provided students with over $49 million in college scholarships and support services. The program looks beyond academic performance, instead rewarding students for their drive to achieve great things through higher education. When considering an applicant the Program takes the student's individuality, unique experiences in and out of the classroom, need for financial assistance, willingness to work hard, and dreams, into consideration. To qualify for the scholarship, applicants must have participated in an approved college readiness program for a minimum of two years. Established in 1942, the Inter American Press Association is "a non-profit organization dedicated to defending freedom of expression and of the press throughout the Americas." The IAPA Scholarship was created to allow for U.S. and Canadian journalists to spend an academic year studying and reporting in Latin America and the Caribbean, and for Latin American and Caribbean journalists to take courses in journalism at recognized universities in the U.S. and Canada. Applicants must be between the ages of 21 and 35 years old, be journalists or students in the final year of their journalism course, and be fluent in the language of the country where they will go to study. The National Institutes of Health (NIH) Undergraduate Scholarship Program (UGSP) is for students from disadvantaged backgrounds who are committed to pursuing careers in biomedical, behavioral, and social science health-related research. Applicants must demonstrate financial need, have a minimum GPA of 3.3 or rank in the top 5% of their class. The NIH UGSP awards up to $20,000 per academic year in tuition, reasonable living expenses, and educational expenses. The scholarship is awarded for a single year, but can be renewed for up to 4 years. Created in honor of the late Professor Raymond H. Stetson, a pioneer investigator in phonetics and speech science, the scholarship was established by the Acoustical Society Foundation in 1998. The scholarship is for members of the Acoustical Society of America who are pursuing graduate study and research in specific areas related to the field of phonetics and speech production. Deadline: â¨Nov. 14, 2014: Application deadline for interested schools. The Poetry Out Loud scholarship contest was created to encourage the nation's youth to learn about great poetry through memorization and recitation. In the contest high school students must choose their selection from Poetry Out Loud's Online Poetry Anthology of more than 800 poems. Students must first compete in a lower-level competition before they can advance to the State Finals. The winners of the State Finals which will go on to the National Finals where the most compelling performer will win $20,000. Second place wins $10,000, third $5,000, and fourth through ninth win $1,000. Top-nine placers also win $500 for their schools. Each year the Coca-Cola Scholars Foundation awards over $3.45 million in scholarships to more than 1,400 college students. The Coca-Cola Scholars Program Scholarship is an achievement-based scholarship offered to graduating high school seniors who have made a significant impact on their schools and communities, many of whom have overcome great hardships along the way and still remain steadfast in their dedication to both lead and serve. Each year 150 Coca-Cola Scholars are selected to receive this $20,000 scholarship. The Abernathy scholarship is awarded to a high school senior who has shown academic excellence and has demonstrated commitment to a career in science education. Among the requirements, applicants must have a minimum score of 1,000 on the SAT or 22 on the ACT, an unweighted GPA of 3.0 or better, and must intend to teach science education upon completion of an undergraduate program. GotChosen.com is offering students the chance to win a $20,000 scholarship through their Summer Special Opportunity. The scholarship is free to enter, has no GPA, essay, or financial need requirements, and is open to virtually anyone 18 years old or older. The one stipulation is that the $20,000 must be spent for educational expenses, including: tuition, fees, books, supplies, or to repayment of outstanding student loans. Deadlines: There are two competition dates, Jan. 30, 2015 (application due by Jan. 10) and Feb. 20, 2015 (application due by Feb. 1). Each year, Indiana Wesleyan University's John Wesley Honors College selects eight students from among its incoming class of John Wesley Scholars to receive four-year scholarships totaling $80,000. Applicants are evaluated based on an interview with faculty members and a current Honors College student, participation in a mock class discussion with an Honors College faculty member and other applicants, and an essay related to the topic of servant leadership. One student will receive a $20,000 scholarship ($5,000 per year). Two students will receive a $10,000 scholarship ($2,500 per year). Five students will receive a $4,000 scholarship ($1,000 per year). Far too many scholarships are only available to incoming college freshman. Scholarship America's Dream Award is focused on supporting students through graduation rather than just for their first year at college. The award is only available to students entering their second year or higher of post high school education. In order to motivate students to complete their education, the awards increase by $1,000 each year until graduation (up to a 5-year degree program). Students may choose to either apply for general scholarships or STEM (science, technology, engineering or math) specific scholarships. There are over 95 million Americans who don't have life insurance, and many aspiring college students have seen their educations cut short due to a lack of funds following the death of a parent. Life Happens sponsors the annual Life Lessons Scholarship Program for college students and college-bound high school seniors who have lost a parent. Applicants submit essays or videos on how the death of a parent impacted their lives. Scholarships for the 2014 Program totaled at $175,000, and to date the program has awarded more than $900,000 in college aid. The Gallery Collection's 8th annual Create-A-Greeting-Card Scholarship Contest is offering students the opportunity to express their creativity and artistic talent in order to win $10,000. Applicants should submit an original photo, piece of artwork, or computer graphic for the front of a greeting card no larger than 16â³ x 23â³, that will be put up on the Gallery Collection's Facebook page for voting. When the voting is complete the judges will choose a winner from the 10 finalists, the winner will receive a $10,000 scholarship and have their design made into an actual card and sold in the Gallery Collection's line. Studies show that drivers are 23 times more likely to be in an accident if they are texting and driving. Each year over 3,000 teens die in crashes caused by texting while driving. The Anti-Texting and Driving Scholarship was created to help speak out against texting and driving, to hopefully bring awareness to cause of so many unnecessary deaths. To enter to win a $10,000 scholarship go to http://www.dosomething.org/campaigns/backseat-adviser and share the text message experience (not while driving) with friends. The Atlas Shrugged Essay Contest is open to 12th grade, undergraduate and graduate students, and offers the chance to win a $10,000 scholarship. Applicants must write an essay of no less than 800 and no more than 1,600 words on one of three topics related to Ayn Rand's novel, "Atlas Shrugged." Essays will be judged on style and content and must display a phenomenal understanding of the philosophic meaning of Atlas Shrugged. Deadline: Only invited institutions may nominate students to apply for scholarships. The Dizzy Feet Foundation's goal is to bring the joy of dance into the lives of children in low income areas and disadvantaged communities. The Foundation provides scholarships to talented students who are studying at an accredited dance school, studio, university or other institution and are at least 15 years old. Applicants must be nominated by their school, and will be judged based on talent, technical skill and dance expression.